R. Bruce Donoff, dean of the Harvard School of Dental Medicine, will step down from his position at the start of 2020, University President Lawrence S. Bacow announced in an email to Harvard affiliates Friday. By the end of his tenure, Donoff will have served in the role for 28 years. 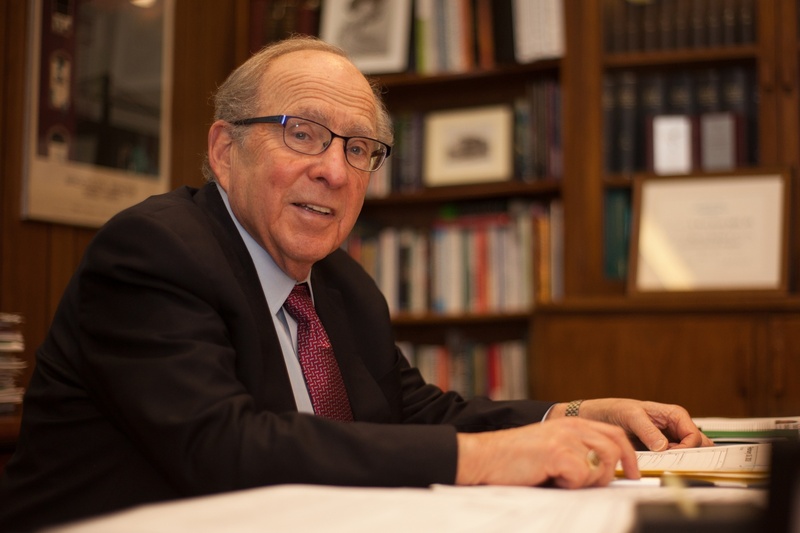 This makes him one of Harvard’s longest serving deans, according to University Provost Alan M. Garber ’76 and Harvard Medical School Dean George Q. Daley in a co-written letter to Medical and Dental School students Friday following Bacow’s announcement. Garber and Daley detailed Donoff’s impact on the Dental School and Medical School communities and the broader fields of oral health and medicine in their letter. Donoff’s contributions to dental education extend beyond the Dental School and impact the broader dental health community, according to the letter. Bacow, Garber, and Daley all offered praise for Donoff in their letters, commending his achievements and dedication to oral medicine and healthcare. “He has made major research contributions to his specialty, advancing knowledge of bone graft survival, sensory nerve repair, and wound healing, as well as oral cancer,” Bacow wrote. Garber and Daley’s letter also commended Donoff’s work as an educator. “His personal commitment to academic excellence has shaped his quarter-century as dean, driving the recruitment of extraordinarily talented students, faculty, and staff, and shaping efforts to make oral healthcare available and accessible to more people across the country and across the world,” Bacow wrote. “As an educator and a mentor, Bruce pioneered problem-based learning to help students better understand the fundamental concerns of those seeking treatment and their diseases, all the while stressing that students must listen closely to their patients and treat them with respect,” Garber and Daley wrote. Daley will lead the search for Donoff’s successor, according to his and Garber’s letter. Donoff will officially step down January 1. —Staff writer Alexis K. Bolner can be reached at alexis.bolner@thecrimson.com. Follow her on Twitter @AlexisBolner.